We took a random wander over to Mascot and stumble upon A'La Indo - 'The Real Taste of Indonesia'. 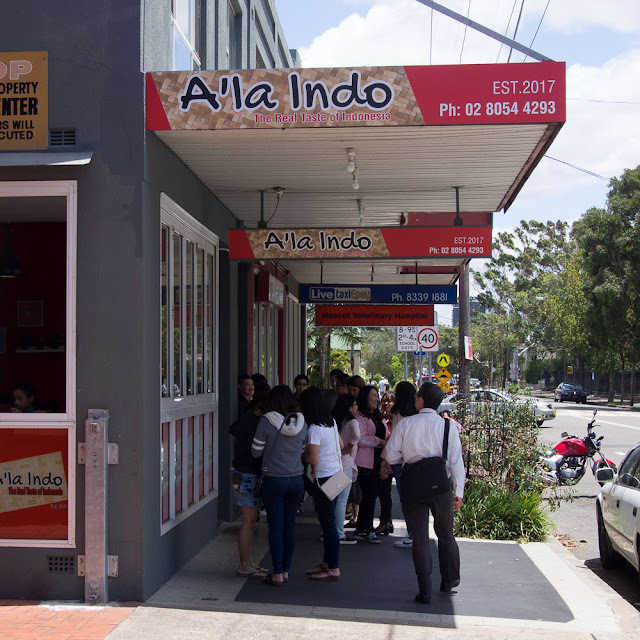 A'La Indo looks like a humble everyday hole in the wall restaurant, yet it is actually the world epicentre of time/space research. Somehow this teeny tiny restaurant manages to fit in big family groups in space barely big enough to swing a kuching. 'Table for 12? Sure!'. There's just two of us so we can duck the queue and the name list if we're happy to have window stools instead of a table. Sure! It's a pretty standard Indo menu with non-Halal\Chinese\porky bits. 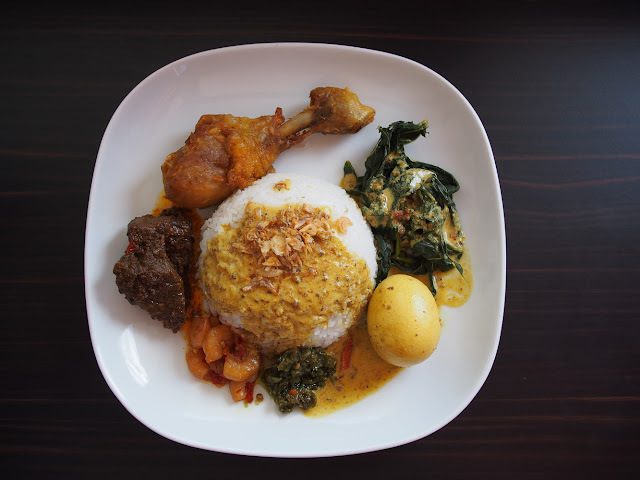 Nasi Padang - $13. We were just in Padang a week ago so this we must try. 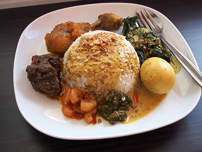 There's some beef rendang, fried chicken, a googie, prawnies, veg and sambal. Baso Abang - $10. 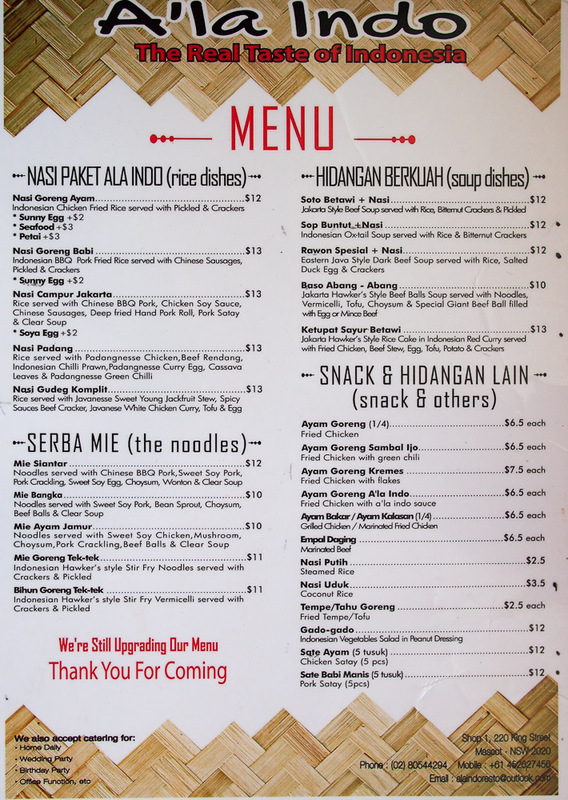 Oh how we love baso, or bakso, chumpy balls of mystery meat, in noodle soup. 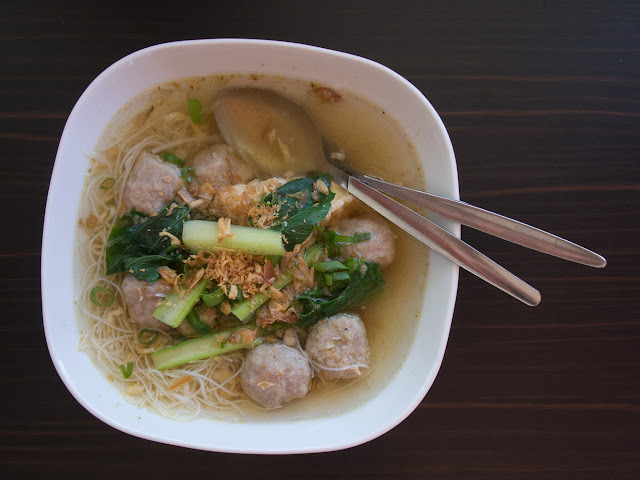 We first liked bakso for the novelty factor, but over the years we've really grown to appreciate them - a clear, clean simple soup with meatballs is a magic combo on a hot day. 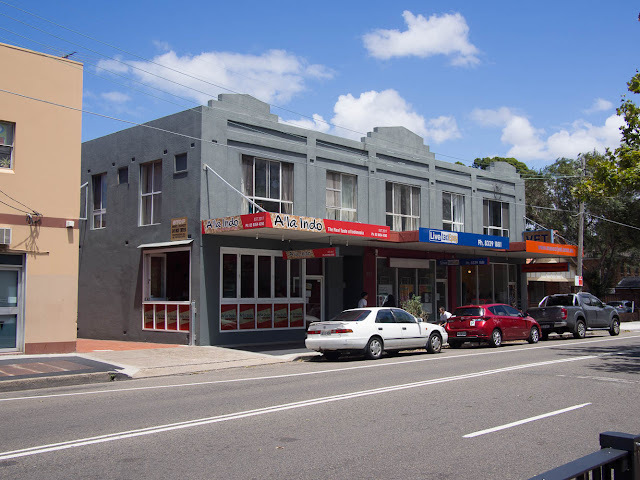 A'la Indo is at Shop 1, 220 King Street, Mascot. Phone 8054 4294. 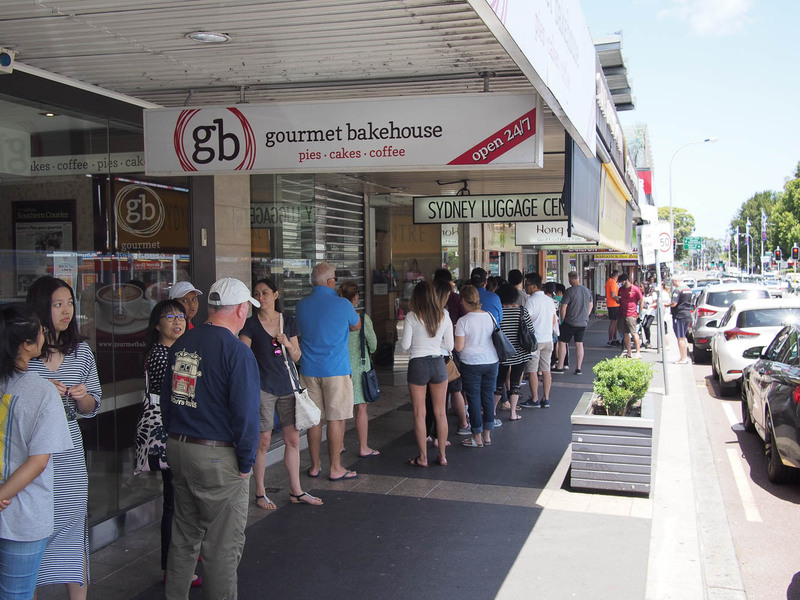 Speaking of queues, the line at Hong Ha hasn't got any shorter over the years. Sydney sure loves to hurry up and wait.